Moved all domains of .com with domain names starting with g-m to the chat server muc1.virtual-presence.org. This will distribute half of the load from all .com domains to the new chat server. Still more to come. Moved all domains of .com with domain names starting with a-f to the chat server muc1.virtual-presence.org. This will move the load of 1/4 of the .com domains to the new chat server. More to come. As a high traffic site it gets a random-room config with 4 statically configured language independent rooms. First entry in the brand new SLD structure. A new folder hierarchy has been created for countries with a ccSLD. A folder "common" has been added directly under the root folder. It is supposed to provide commonly used configurations in order to avoid duplicates. High traffic sites got a random-room config with 4 statically configured language independent rooms. Check the HTML form to learn about the parameters. A new root folder has been added. The main difference are relative delegate URIs with "../" instead of absolute URIs as in "firebat-2.7.7". "v7" is the new root folder. "firebat-2.7.7" is deprecated and now frozen. Future mapping changes will be only in "v7". Due to popular demand, http://www.pennergame.de has been split into several categories. See the new config for more information. Each profile and each app is now a separate room. While you will be missing the company, you will now know that the person you meet is on the same profile and is visiting the same user. The Youtube site has been split into 5 rooms. One for the home page (www. )youtube.com and 4 for the videos. 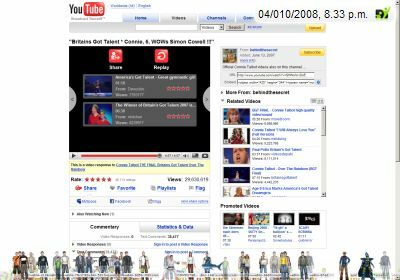 Relevant is the first letter of the video ID (after the "v="). People meet if they watch the same video. But the video watching crowd is distributed over 4 rooms for video ID starting with a-h, i-q, r-z, and the rest. Also, if the host name starts with anything except "www. ", then this is interpreted as a country domain and taken into account. So, de.youtube.com is different from www.youtube.com. Please see the youtube.xml. Two new toplevel folders have been added. There are now 3 hierarchical structures and the 2 toplevel files. The mapping starts at root.xml, then branches out to IP4 adresses or continues in the "name" hierarchy. 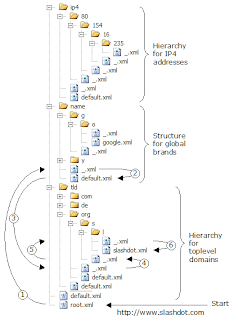 If there is no name, then mapping is forwarded to the "tld" hierarchy. If no location matches then the general fallback (default.xml) applies. Each hierarchical structure has its own starting and fallback points. ...until a matching location tag is found. Configured some heavy traffic utility sites so, that people do not enter automatically. There is an [Enter] button, if users really want to meet there. Moved all *.weblin.com rooms to the chat server muc1.virtual-presence.org. TTL has been set to 5 minutes days before. Users entering the pages are directed to the new server. Users already entered stay in the old room until they navigate.